Once known as one of the best men in the Mainland Chinese entertainment industry, Wu Xiubo’s (吳秀波) seven-year affair with mistress Ruby Chen (陳昱霖) was revealed in September. Ruby’s exposure of the affair led to Xiubo’s decisive blow–he decided to sue her for extortion of money. With Ruby currently in jail, many people wondered why she ever fell for such an unforgiving lover, even if he had allowed her to lead a lavish lifestyle. 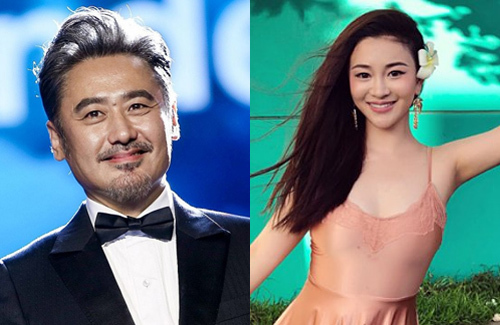 After the affair went public, Ruby’s parents revealed that Xiubo initially tried to settle the issue in private by offering her a lump sum payment to keep quiet after the breakup. However, Xiubo called the police and pressed charges against Ruby on accounts that she was extorting him for money. Ruby’s parents shared details of the actress’ arrest on WeChat, while begging Xiubo to let her go free. While Ruby was Xiubo’s mistress, she stayed with him in Hengdian for 333 days, cooking, cleaning, and looking after him during the filming of The Advisors Alliance <大軍師司馬懿之軍師聯盟>. Ruby claimed that she only left the apartment once a month, as all her time was spent on caring for Xiubo’s comforts. Only when he had to leave Hengdian for other work would Ruby step outside of the apartment to see her mother. While Ruby’s situation sounded very extreme, it was recently revealed that Ruby didn’t tell the whole story. 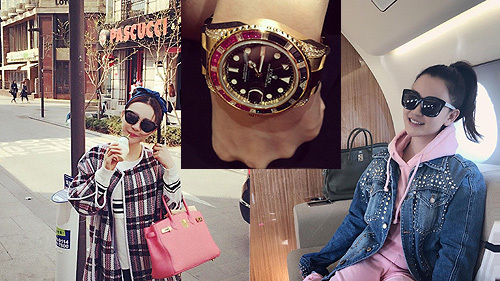 In fact, netizens dug up Ruby’s personal Instagram that she constantly used to flaunt her wealth and luxurious lifestyle. In her posts, it can be seen that Ruby was seen taking private jets on vacations to Milan, New York, Korea, and Japan. Even Ruby’s parents were seen accompanying her on one of her vacations to a tropical resort. Ruby also has a massive collection of designer handbags such as Hermes and Chanel, and liked to wear Rolex watches. Although she is not a prominent actress, Ruby was seen taking photos with Hollywood stars such as Gigi Hadid, Kia Gerber, and Cate Blanchett. 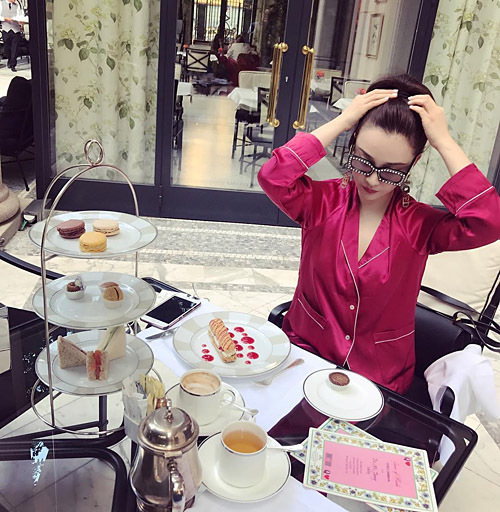 As one of China’s top actors, Xiubo can definitely afford to spoil his mistress with lavish vacations and luxury gifts. Although generous in giving gifts, but when Xiubo felt Ruby had gone too far in spilling their affair, he didn’t hesitate to call the police and put her in jail. Of course she gain from it. And she is upset he broke up with her. And threatened him. I doubt she did it once or twice. She must have kept threatening him. Thus jail suits her. He is a scumbag, cheater etc. But many rich men are. It is so common. I sincerely hope his career is affected from it very badly. She pays the price, so should he. @hohliu well, I think he should be in jail too. But hey, sleeping around has never been a serious crime. Though I think 10 years is a bit harsh. And that’s rather brutal, considering there was another high profile divorce where the wife cheated on the actor, threaten his family while claiming domestic abuse, and all he does is taking her to court. Whereas this one managed to send her straight to jail, that’s mean he basically lay enough traps and hold the evidences to convict her. A lot more brutal and snake he is. She’s no saint, but I think 10 years is a bit harsh. His career ends don’t mean much, he’s 50yo already, he’s rich and can retired, well, guess life is never that fair lol. @littlefish base on her crimes and other factors surrounding it, I doubt judge will give her a 10yrs sentences. 10yrs is the the max period given for such crimes in China. Sleeping around is not a crimes in China, she is not charged based on that. She is charged for threats and blackmail. She should not have done it to get more money out of him. It is her greed for money that result in her being jailed. He on the other hand did not legally commit a crime for adultery. He just morally wronged his wife thus he is not charged for any crimes by law. Anyway, I dont think she will be in jail for that long. It will be just too harsh. Unless China takes all extortion/blackmail cases very seriously, then it will be not in her favour. But I will no longer support him. He is such a scumbag.